If you are a fan of coconut of the renowned Bounty Bar, you will adore these tantalizing treats. You can choose whatever chocolate you like to melt and pour over them – dark, milk, white, mint – whichever tickles your fancy on the day. 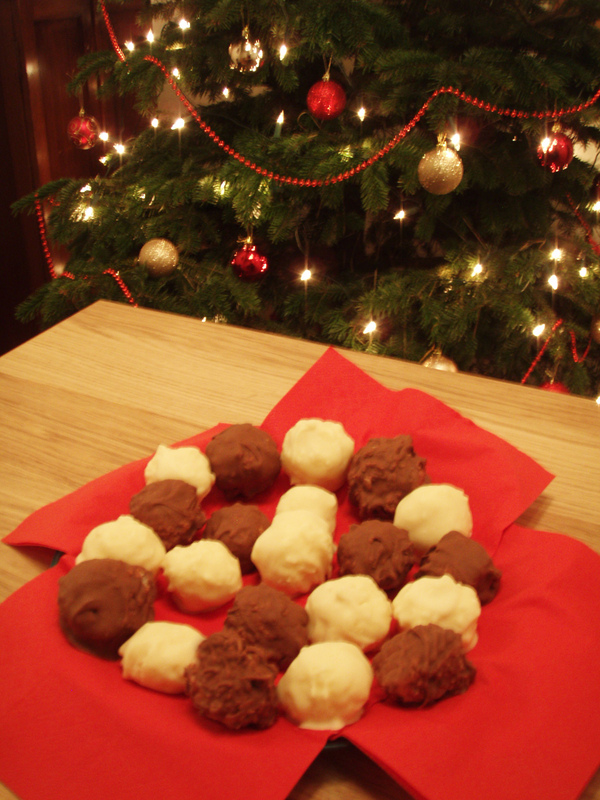 Personally I just love these delicate coconut bonbons covered in either milk or white chocolate while himself, as usual, takes the dark route. These are quite easy to make. Combine the coconut with the icing sugar. Heat the cream and butter in a saucepan on low heat. Once melted pour the mixture over the coconut and icing sugar. Mix well. Using a teaspoon (and cold hands) form small balls, compressing the mixture well together. Place on greaseproof paper, cover with cling film and leave to set in the fridge for a few hours. Once set, melt the chocolate in a bowl over gently boiling water. 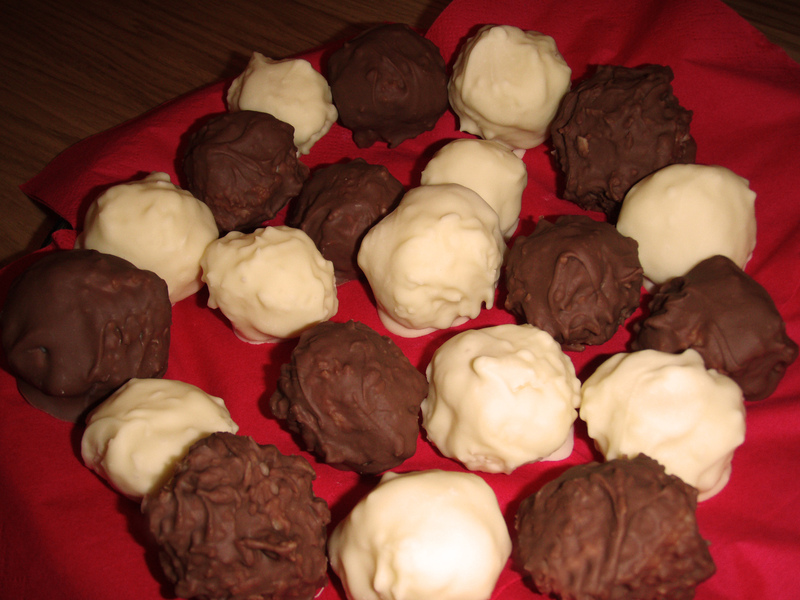 Dip the coconut balls into the chocolate using toothpicks or two forks. Place in the fridge for a few hours to set.